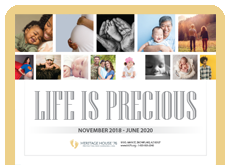 Description: For decades, Milestones of Early Life has been one of the most effective and most used pro-life brochures offered. Now, we have taken the accurate, authoritative, and documented information and put it in a brochure that children will enjoy reading. 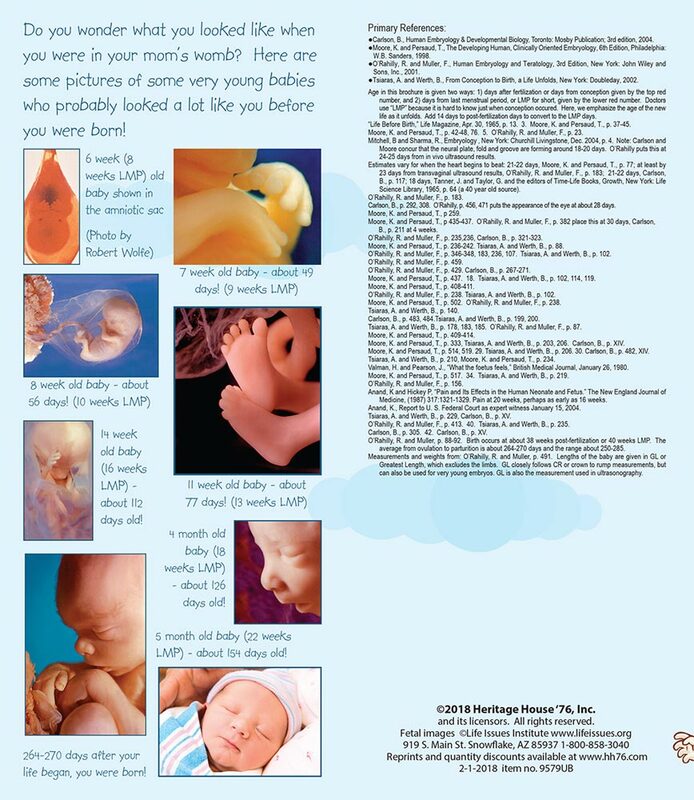 Written in simple language with images that will appeal to younger children, this brochure will spread the joy and amazement of little babies in the womb and the incredible journey they take from conception to birth. We enjoy handing these out to children at different events. It is imperative that children know and understand when life begins and how miraculous it is as soon as possible. This is a great tool for reaching them.